Unleash your creativity and draw mesmerising 3D patterns with your fingers. 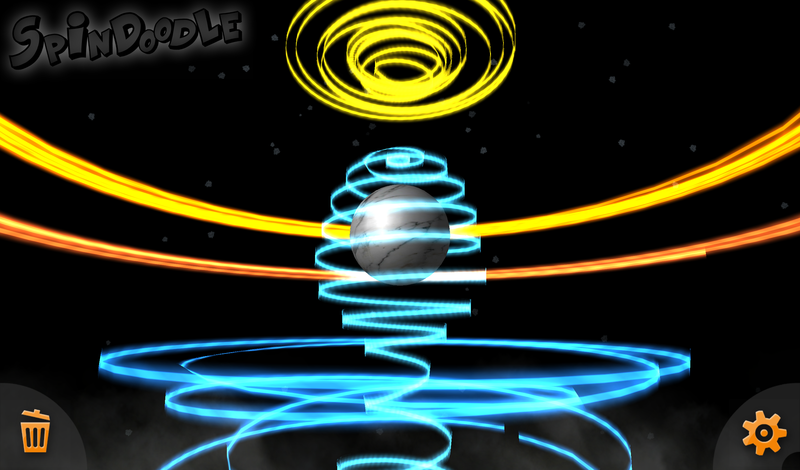 Spin the world and trace glowing lines in the sky. Relax your mind! Simple controls are easy for everyone from the very young to the very old. If you can point with a finger, you can draw in this app. Completely FREE forever on Android. Used to be available on iOS too, although Apple have removed it due to draconian update rules. No ads or social junk to distract you. Clean and simple creative fun. 2 responses to "Spindoodle 3D"
Thanks! My other half works as a manager at the National Autistic Society in the UK, and thought much the same thing. Hope your service-users enjoy it.